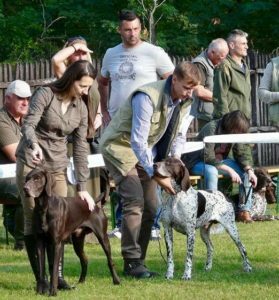 Great performance of SZAFIR z Czarnego Dworu (owner Jim Deppen, handler Antal Zsombor) during 28th International Kurzhaar Prüfung. 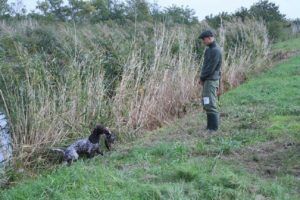 Working competition: 1st degree diploma, maximal amount of points, 4h (distinction) for searching in the field. SZAFIR ist the first dog from our kennel which received V for exterior and 136/136 points with 1st degree diploma.